The PEN Ten is PEN America’s weekly interview series. 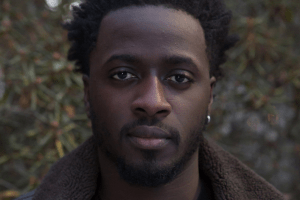 This week, PEN America’s Public Programs Manager Lily Philpott speaks to Nana Kwame Adjei-Brenyah, author of Friday Black, a finalist for the 2019 PEN/Jean Stein Book Award. Adjei-Brenyah will join #AMtoDM host Isaac Fitzgerald for a PEN Out Loud discussion at the Strand Book Store on February 21. You can also see him at the 2019 Literary Awards Ceremony on February 26 at the NYU Skirball Center, where we will celebrate the best voices in literature from debut fiction to nonfiction, poetry, drama, and the range of creative works that free expression makes possible. If you’re in Los Angeles, join us on February 27 to discuss Adjei-Brenyah’s best-selling Friday Black with host Allison Conner for this month’s LA Book Club. I’m suddenly remembering reading a book called Bud, Not Buddy that I loved as a child. It was about a young black boy and I remember loving it. I remember it being my favorite, one of my first favorite things. I use fiction as a way to find truth. I try to avoid the lies that come from euphemism or complete erasure. I’d say, in general, my work is concerned specifically with making the truth unavoidably clear. I’m not consistent or as disciplined as I’d like. But that said, I can sit down and spend an entire day writing, happily. I’m erratic and can be kind of a binge writer. I’ll suddenly summon momentum and try to ride the wave as long as I can. I like thinking I’m always just a few moments from being “on fire,” in a productive sense. I think writers can continue to speak truth to power. I think writers can advocate for the most vulnerable and make their pain heard. I think writers can use their voices to push back against the systems that try to make you feel good about thinking of no one but yourself. I think writers can do all this by writing. 5. Whose words do you turn to for inspiration? One of my mentors, Arthur Flowers, has many wise words, and I lean on them often. Some are long parables, some are just short catchphrases, like “Showtime” for example. Which for me means you’ve worked a long time to get here, now do it. 6. What is the last book you read? What are you reading next? 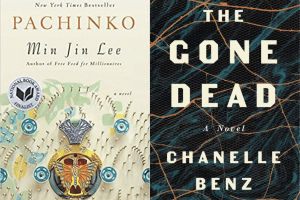 The last book I read was Pachinko by Min Jin Lee and I’m reading Chanelle Benz’s The Gone Dead next. 7. How does your identity shape your writing? Is there such a thing as “the writer’s identity”? I am a collection of my experiences, and each of my experiences is shaped by the way I move through the world. What I have to offer as a writer is in large part a product of my identity. My fears, my strengths, my privileges, my hopes. Everything I write is connected to this. This is true of every writer—everyone has an identity, and you can’t separate your authorial self from the personal living one. 8. What is the most daring thing you’ve ever put into words? Have you ever written something you wish you could take back? For me, admitting to myself via story how hard certain things have been for me was daring. I think the sort of day-by-day coping that requires numbness is poison for fiction and so I had to be willing to feel things directly. Probably writing directly about my family and mother was the hardest and most daring because it was so personal. Keep going. Write what you want to, what you think is necessary. Read what you love, whatever makes you feel. Also, know that you have as much meaningful advice for me as I have for you. The way publishing works and the way the world generally presents art tries to suggest that because I am being asked this question and you are reading the answer that somehow means in some grand hierarchy I am above you. That isn’t true. You have something essential to offer. Trust that. 10. Which writers working today are you most excited by? Nafissa Thompson-Spires, Jamel Brinkley, Tommy Orange, Ingrid Rojas-Contreras, R.O. Kwon, Arthur Flowers. 11. Which writer, living or dead, would you most like to meet? What would you discuss? Toni Morrison. And maybe I’d just thank her? 12. What do you think makes a piece of writing compelling? Characters who do things. Characters who make difficult decisions and follow them through, or try to. Humor. Heart. 13. Why do you think people need stories? Stories can do so much. They can be hope machines. They can stretch our ability to empathize. They can train our imaginations. They’re fun. I think people need stories because they’re pieces of life that might not otherwise be available. 14. While speaking about the art of the short story, you have said “every single word has to serve a purpose.” What does your editing process look like, and how do you make decisions on which words to keep and which to cut? I cut a lot. I find joy in making things smaller. My first draft is almost always a lot longer than the final. I also like to ask questions of the stories I write; I try to understand them and use that as a compass for how to revise (usually more cutting). I cut what doesn’t feel essential. Sometimes I hear it through reading aloud. Sometimes it is more of a feeling. I try to decide if it serves the story or if it is me trying to be somehow impressive. I try to keep only what serves the story.